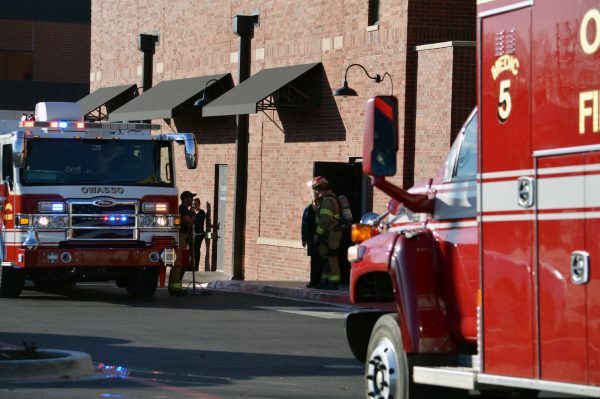 01/21/2019 – A sprinkler malfunction on the second floor of Owasso’s new Seven6Main building, had water flowing into Smoke Woodfire Grill Restaurant Sunday afternoon. Owasso Fire Department received an alarm call around 4 pm Sunday. When they arrived they canvased the building, finding the source of the water flow, getting it stopped. That was not before Smoke received about an inch of water inside the restaurant. Closed for the rest of the day, Smoke owners and crew quickly went to work getting the restaurant ready for Monday business.